The Skagit Spring Classic is the premier one day ride in the north Puget Sound region. We offer the best in scenery, routes that range from easy to challenging and rest stop food that beats all the rest. We are justifiably proud of the homemade cookies that are available in an almost inexhaustible supply at all of our rest stops. Enjoy a hearty spaghetti dinner after your ride and a warm shower to make that ride home more enjoyable for you and your passengers. Find out more about this great ride Click Here. 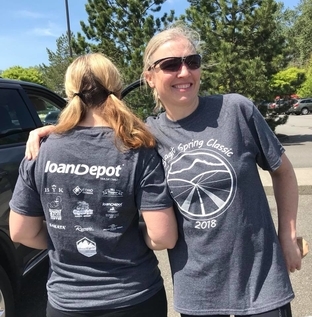 Hilltopper Bikes is back again this year to support the 2019 Skagit Spring Classic. This year Hilltopper is donating a Folder MT Bike for our raffle. Click here for more details. Norman Kirby, 2018 winner City Ultra Electric Bike! Skagit County Washington is a wonderful place located halfway between Seattle and Vancouver, BC. 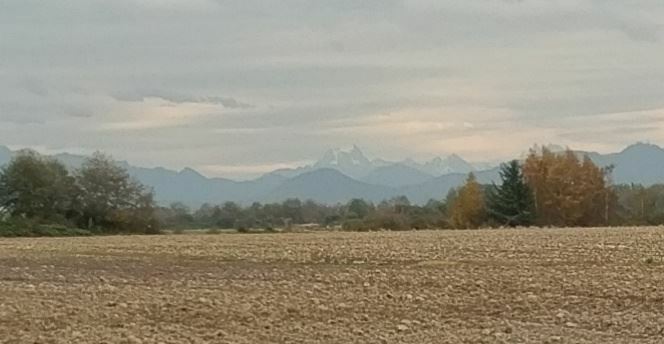 The first view of Skagit County, as one heads north on I-5, is the valley of the Skagit River as it flows off the Cascade Mountains in the east and heads for the Salish Sea to the west. The valley floor that spreads out before you is a lush agricultural landscape with flat, lightly traveled roads. In the spring, the valley is famous for the tulips raised here, http://www.tulipfestival.org/. As the seasons progress, berries and potatoes bloom across the valley. This all provides a beautiful backdrop for a bicycle ride. Read more... ..